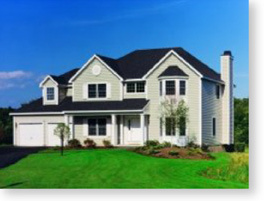 C&C takes the guesswork out of installing siding your home. We offer a wide range of siding types including aluminum and vinyl, colors and textures and we are a licensed and authorized siding contractor. Our employees work stands out because the siding services offered through C&C are supported made by top companies like Certainteed and GAF. Our select manufacturers offer an array of siding styles and colors complements any architectural style. From classic colonial clapboard to the distinctive charm of natural cedar shakes, you can choose the look that best suits your design vision. How do siding installations work? 1. Call 215-322-8687 to schedule a free in-home consultation. For more information on your home siding options, contact us to set up an appointment for a free in-home consultation. A representative will visit your home at a time that's convenient for you to asses your property and make recommendation on your siding options. Our siding and gutter expert will bring samples of the different siding types and colors. Be sure to specify your siding color and style preferences to the representative who contacts you prior to your appointment. This will ensure that our siding experts are able to prepare the materials that are right for you. 2. Schedule your siding installation. Once our licensed and insured siding and gutter experts has determined the best option for the siding of your home, they will schedule you installation. During the installation process, a authorized professional will secure and post all required permits. A dump truck or dumpster will be used to collect the debris during the project, and the job site will be tidied each night. During the installation process, your siding expert will deliver regular customer reports to ensure the job is progressing. Upon completion, the job site will be cleaned and siding debris will be hauled away. 3. Let us know how we did on your siding project. We are there for you during the entire siding installation process, with follow-up after your initial consultation through the installation. If at any time you would like to contact us to provide feedback on how our contractors performed, please contact us.